A couple of opportunities for community members to be engaged on efforts aligned with Hope Starts Here have just been announced. See below and consider adding your input to help improve outcomes for children and families. 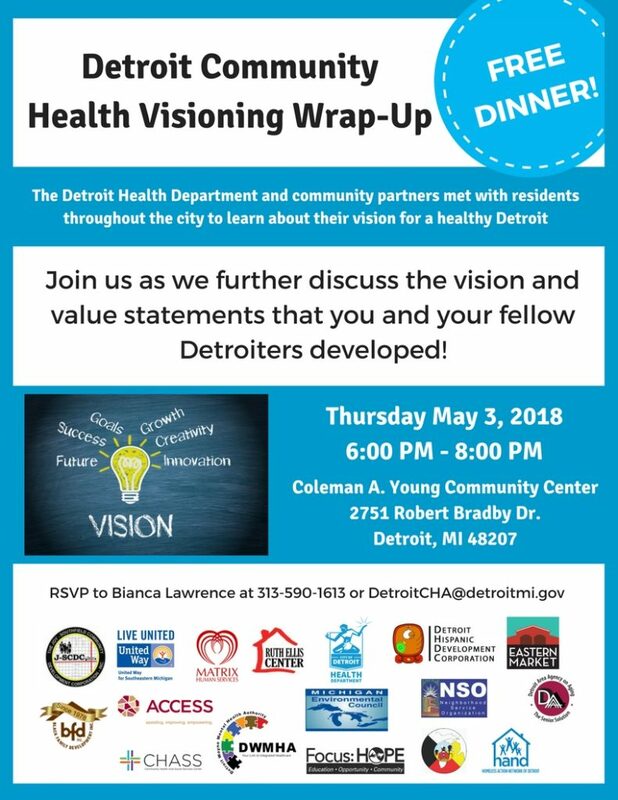 Please contact Bianca Lawrence at 313-590-1613 or lawrencebi@detroitmi.gov to RSVP to this session. Please RSVP on Eventbrite or by contacting Bianca Lawrence at 313-590-1613 or DetroitCHA@detroitmi.gov. Dinner will be served at both events!